Joe Orsak was inspired at the age of eleven by the artwork of Joe Sinnott in Treasure Chest and Journey Into Mystery In 1982 Orsak launched a comic strip that ran for eight years in two Syracuse, NY newspapers, The Adventures of Captain ‘Cuse. It was sometimes written by his friend Tom Peyer. 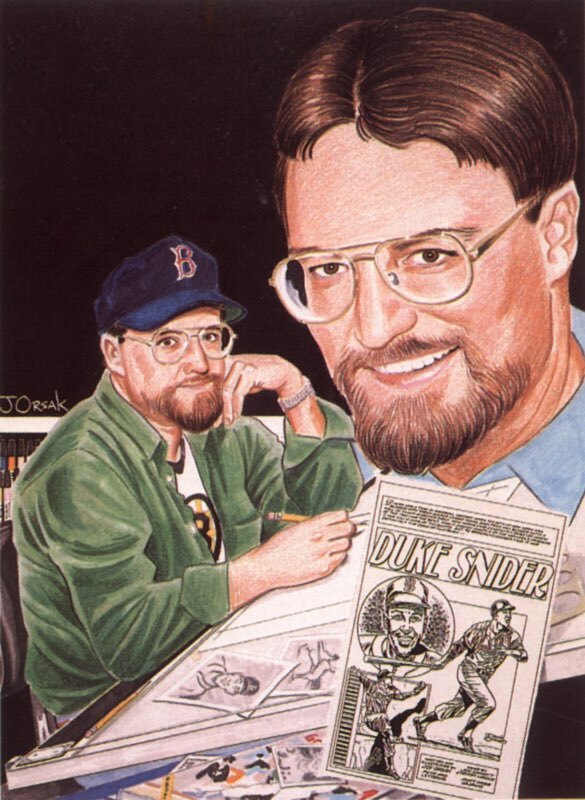 Joe turned to sports comics in the 1990s, working on bios of Mickey Mantle, Brooks Robinson, and Duke Snider for Magnum Comics. These books gave Joe the chance to work with his inspiration… Orsak's pencils were inked by Joe Sinnott! In 2001 Orsak was picked by his friend Roger Stern to pencil and ink a two-page tale for the 9-11 tribute book 9-11 Artists Respond for Dark Horse. In 2008 he returned to comic strips with Salt City, another comic strip about his hometown, this time with a female superhero, written by Douglas Brode. The strip drew the attention of people at McFarland and Co., who asked Joe and Doug to launch their line of graphic novels. Joe and Doug created Yellow Rose of Texas: the Myth of Emily Morgan and Virgin Vampires for McFarland. Joe recently completed a project with Tom Peyer for the new Planned Parenthood benefit anthology MINE!